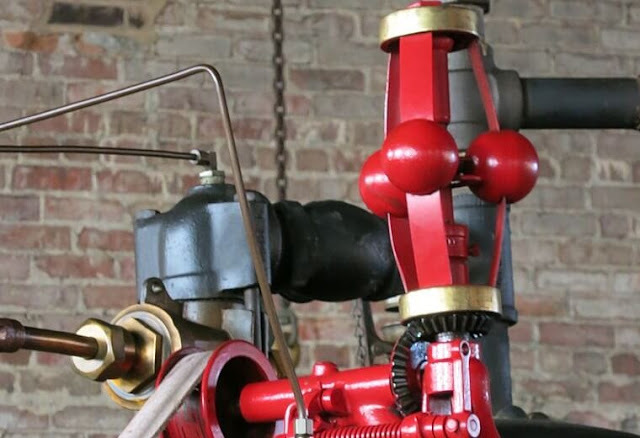 Pickering governor is very simple in construction and it is used for small machines. 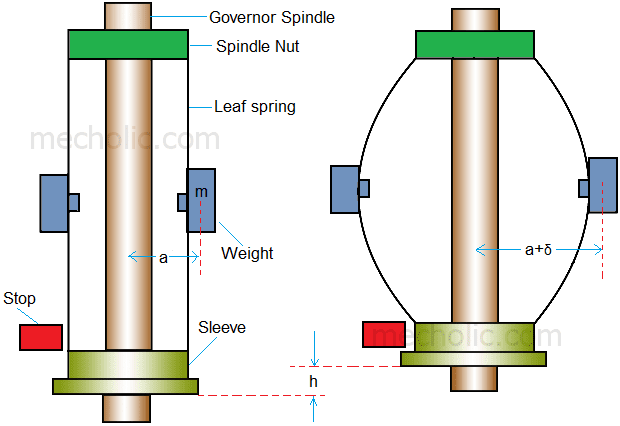 The sleeve movement in Pickering governor is very small when compared to the other centrifugal governor. It controls the speed by dissipating excess kinetic energy. Pickering governor consists of three straight leaf spring each placed at equal angular interval around the spindle. The upper end of leaf spring attached to the hexagonal nut fixed to the governor spindle. The lower side of leaf spring attached to sleeve on the spindle which is free to slide on the spindle. Each of the spring carries a weight at its centre. When the speed of spindle increases the weight on the leaf spring tends to move outside. The governor leaf bends as the weight move outwards. When leaf spring bends, it lifts the leaf until it reaches the stop (stop position can be adjustable). Pickering governor found application in driving gramophone. (where b = width of spring and t = thickness of spring).